UniformDating is the UK's #1 dating site for singles in uniform and those who fancy a date with them. It is owned by Cupid plc, the Edinburgh-based operator of several high-volume mainstream and niche dating sites. UniformDating.com is the ideal site for uniformed singles, such as those in military, medical, police, fire, and aviation professions. Uniform Dating helps you find romance despite busy schedules and unconventional work hours. 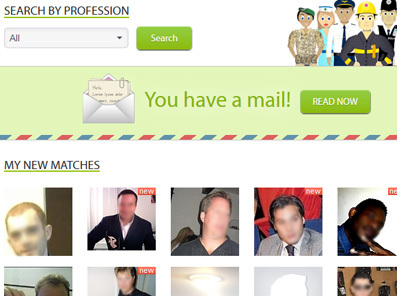 Countless uniformed professionals, as well as their admirers, have found their matches here! The home page features a tiled photo display of possible matches, with age and location appearing as you hover your mouse over each. Below that is a newsfeed showing the activity of members who may appeal to you. The site also offers match suggestions based on the criteria in your profile, an a handy sidebar gives you an at-a-glance look at how many messages, winks, or admirers you've got. There are a few ways to get in touch with other members. You can send a private message using UniformDating's own messaging feature. You can also start a Live Chat. To break the ice, you can send a Wink or a Flirt, which merely indicates your interest in a person without being too serious. We were interested to see a Multi-Flirt option, which allows you to send a wink, flirt, or virtual gift to multiple people at once. There's also a UniformDating poll sidebar, which offers a fun diversion. 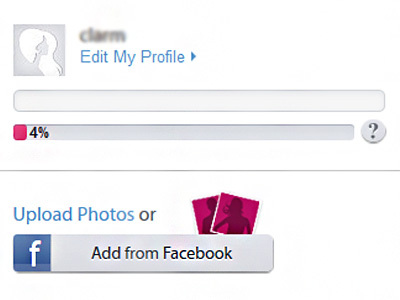 UniformDating.com can be connected to a Facebook account, which makes it easy to upload photos directly from Facebook. Finally, a mobile app is available for online dating on-the-go! It's a breeze to get started on UniformSingles. Simply provide an email address and some basic information about yourself. After verifying your email, you can begin browsing at once. Creating an account is free, but to contact other members or to use the site's unique features you will need to purchase a subscription, of which there are several plans available. There are two additional upgrade options, Connect and VIP, which unlock even more features such as allowing non-paying members to contact you or making your profile show up at the top of the search results. UniformDating takes the privacy of its members seriously and takes all the necessary precautions to keep all sensitive information secure. All financial transactions are carried out under a secure SSL-encrypted connection, and members' contact information is never shared with unauthorized third parties. To access the full range of features on UniformDating, you will need to sign up for an account. There is a 3-day trial membership available, and after that you may purchase a membership with a 1-, 3-, or 6-month subscription. The 6-month subscription provides the best monthly value. UniformDating features a clean site interface and easy-to-follow navigation. We were especially happy with the step-by-step profile instructions including a To-Do list that reminds you what other actions you should take to complete your profile. Your profile, mail, lists, and search tools are readily accessible on the home page. The Lists menu is where you can quickly view your admirers, people you admire, favourite members, and viewing history. Finally, the subscription plans and billing process are easy to understand, as are the optional paid upgrade packages. If members have any questions, however, they can consult the FAQ or send an inquiry using the online help form. UniformDating provides several ways to search for the uniformed man or woman of your dreams. You can simply browse your suggested matches, which are put together based on the age criteria you specify in your profile. You can manually search by profession, keyword, location, or other more specific criteria. You can also view people who are new members or presently online. The options are endless! To maximize your chances of appearing on other members' search results, you should add content to your profile and upload at least one photograph!